A nearly 100-year-old Denver tradition returns this Friday. The City and County of Denver and 9NEWS are proud to present the lighting of the Denver City and County Building in downtown Denver with entertainment from musical guests The Beverly Belles. Colorado & Company host Denise Plante will join Mark Koebrich for this special presentation at 6 p.m. Friday's festivities will take place between 3 p.m. and 9 p.m. with a winter festival at Civic Center Park. There will be family-friendly activities from the Denver Public Library, hot chocolate, adult beverages, a Yellow Snow Dog Race and food trucks. The Beverly Belles will headline the entertainment starting at 6 p.m. on the main stage in front of the City and County Building. Denver's Police Chief Paul Pazen, Fire Chief Eric Tade and Sheriff Patrick Firman will be doing the honor of flipping the light switch this year at around 6:15 p.m. 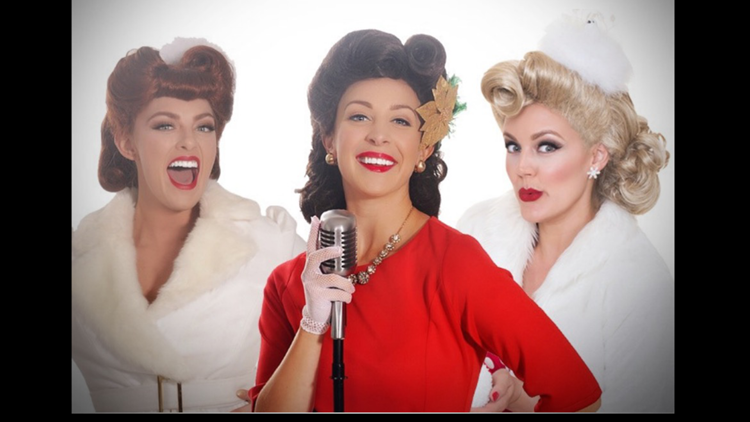 The Beverly Belles are inspired by The Andrews Sisters and other 1930's, 40's and 50's vintage girls' musical groups. The Belles were formed by Julia Tobey in Hollywood in 2014. They perform year-round at arts centers, corporate events, cruise ships, military functions, holiday parties, theme parks, festivals, air shows, casinos and much more! Join The Beverly Bells this Saturday, November 24 in Parker at the "Swingin' Into Christmas with The Beverly Belles." The shows are at 2 p.m. and 7:30 p.m. at the PACE Center in Parker. Get tickets online.